You are here: Home / Adam in the Media / Idol Backtrack: Adam Lambert Declared “Worldwide Star!” on Performance Finale! Alright, it’s here Glamberts! 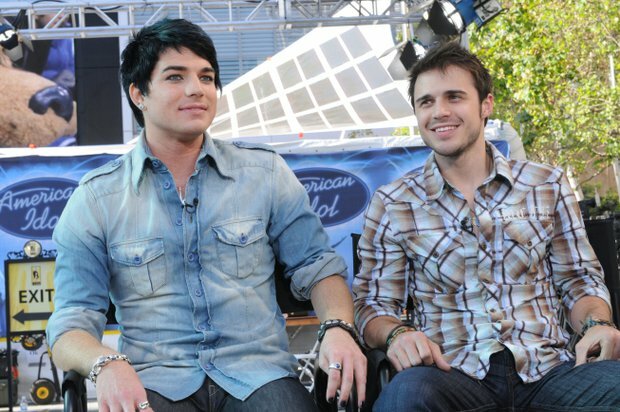 We’ve built up all season to the finale, when we just knew Adam Lambert was going to take the crown. Whether official or unofficial (just like this website!) judging from his success, Adam really was the winner! Before we start reliving all the incredible performances from Adam, I thought I’d fill you in on a little from the day itself and all that was there for the fans. The Season 8 American Idol Finale was like no other. The efforts outdoors at LA LIVE where the finale was filmed, were completely over-the-top. I was super lucky to have been there that day and in the audience for the finale! Never having been at a filming prior to this night, I can’t say about what happened other years, but I was also at Season 9 & 10’s finales, and what I experienced in Season 8 never happened again. Three of us drove up from San Diego early that day. Only one of us had actual tickets, and that was for the rehearsal. The other person with me had talked me into going, in hopes of finding someone with extra tickets for the rehearsal so we could go too. We were completely beside ourselves when we found someone in line with 3 extra tickets for the show itself! LA LIVE (now called Microsoft Square), is a relatively new entertainment complex, complete with shops, restaurants, Lucky Strike Bowling, and the 7,100-seat Nokia Theatre (now Microsoft Theater) where the American Idol finales were held. It is also the home of the Grammy Museum. It is across the street from the Staples Center, where concerts and the Grammy Awards takes place. In the courtyard area in the middle, there was so much was happening that day for the fans. Live interviews were taking place with people representing the show, including 1st season runner-up Justin Guarini. There were also lots of booths all covered with large white tents. I remember it was very warm that day! Most of the booths contained promotional items. I remember people were handing out Glee baseball caps in promotion for their upcoming new show. That cap has come in very handy when we posed it on Flat Addy when we wrote about Adam’s Glee appearances! Stretching across the width of the courtyard in the back was a large tented area where many of the Idol contestants from previous seasons were inside. They were all sitting behind tables, loaded with photographs to personally autograph for the fans that they would talk with. I can still remember meeting Melinda Doolittle, Blake Lewis, Bo Bice and Justin Guarini. The day and night was incredible! 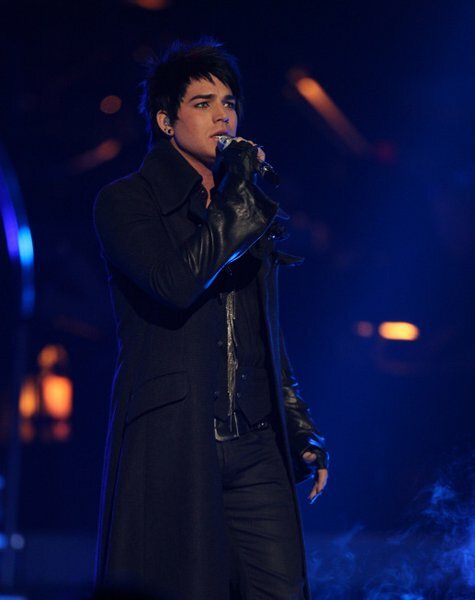 To see Adam up on the stage in that magical long coat with the fog was exactly as I had pictured he would someday be. I still can’t believe Simon dissed the coat and fog. He was putting on a show for 7,000+ plus millions at home. What was he supposed to do? Stand there in jeans and a plaid shirt?! When it was over, we jumped into the car and got home, 3 hours later – just in time for our time zone to start voting! The following pre-finale video interview was shot the day before, in LA LIVE courtyard. I love the part at 3:30 when Adam talks about the famous (or infamous?) Katy Perry cape! So here we go Glamberts – get ready for the finale and then come back next week for the results, and more! Now, enjoy some fantastic memories! I loved the finale……he should have won and would have if not for the cheating, but I think he got the better deal. He is the most international IDOL by far when you consider where he’s performed. Kelly and Daughtry a little bit, but Adam is huge in some parts of the world. I wish he was huge in America. But he does ok.
Wow, what flashbacks! Lots of highs and lows that day, but it all worked out in the end.